I don’t mind admitting I’m a selfish reader. I’ve always read exactly what I want for no other reason than, I felt like it. So I never paid much attention to whether or not it was useful or beneficial. But now, as a writer, whilst I still need some of that escapism by falling into a good book, I’ve come to realise I also need to read to aid my writing – and I’m not just talking about non fiction books that teach you writing skills. This is part one in a two part series, looking at reading like a writer – reading what you NEED and reading what you WANT. 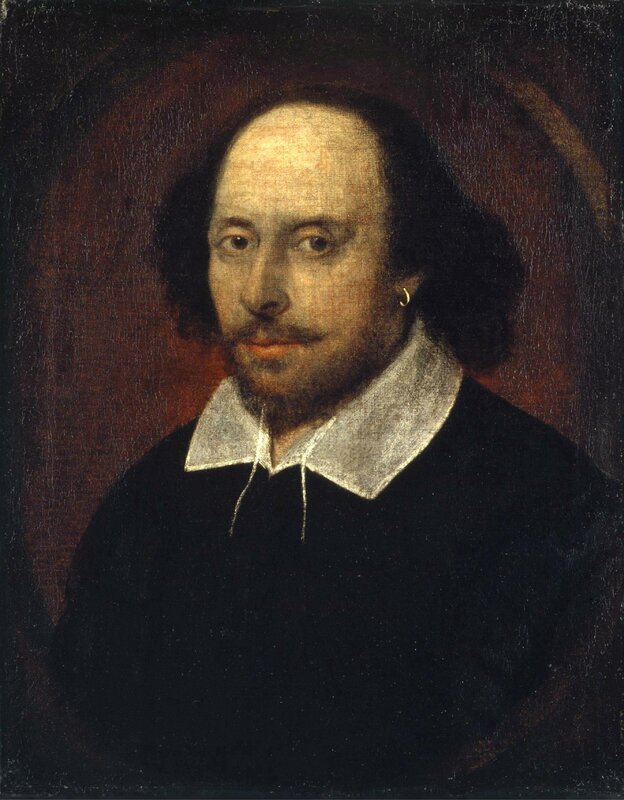 When I was at school I hated Shakespeare. I didn’t get it. I didn’t understand any of his wordy sentences, or the elaborate metaphors. I figured he was just another drunk writer that got famous after he died. But then, my discontent was probably more to do with the prescription of school and the incessant deconstruction of texts, than Shakespeare himself. 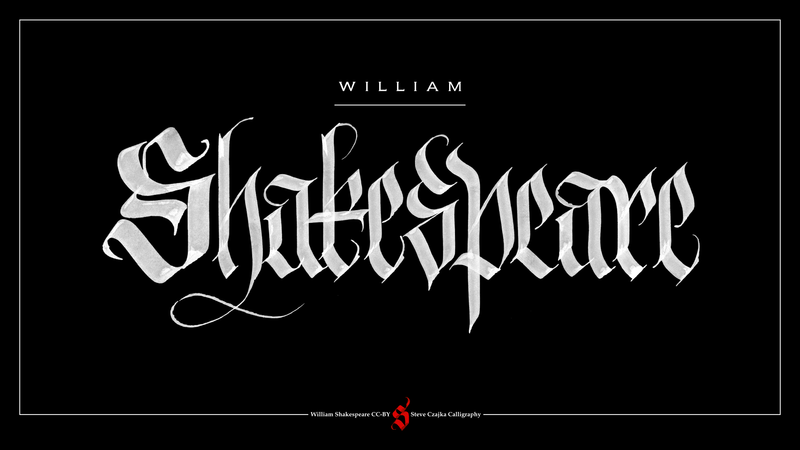 It wasn’t until I voluntarily picked up Shakespeare in my teens that I really grew a deep appreciation for him. I outlined my writing process and 8 steps to discover your own perfect process last week. I’m drawing close to the end of the first draft of my novel and as a result have started to think about second and third drafts and what might need doing, which led me to Shakespeare. In my second and third drafts come the detail and description. Whilst I have lots of ideas and a vivid imagination to create plots worlds and characters, as someone who primarily learned to write academic stuff, actually being able to convey the images in my head with enough poetic description to conjure fantastical worlds for readers, takes more practice than I’ve had. I need a parrot constantly sitting on my shoulder barking “Context, Context, Description,” reminders at me. I’m referring to similes, metaphors, and descriptively evocative passages. Do you know what your weaknesses are as a writer? Could your dialogue do with a brush up? Maybe your characters aren’t quite as full of life as you would like, or maybe your world hasn’t come across the way you thought it would. None of us are perfect. So there will be something you can work on. If you don’t know what you need to develop, then ask someone else. Ask a trusted person who won’t crush you, but will be honest at the same time. When you work out what you need to practice, research writers who excel at it. It’s ironic that I hated the thought of deconstructing Shakespeare at school, and now that’s exactly what I am about to do! Although there’s a lot we can learn from Shakespeare, for the purposes of this post, and in support of thinking about my next draft I’m focusing specifically on his poetic style and ability to create spectacular imagery. I’ve bolded the bit that I really love. ‘Life’s but a walking shadow’ in other words life’s just an illusion. I don’t know about you, but I think that’s a powerful image. It reminds me of Peter Pan’s shadow, prancing around mocking the kids in Wendy’s nursery. I think the way he takes ‘life’ such a complex concept and uses such a simple comparison to draw a powerful image is quite frankly awe inspiring. But that’s the point, right? Use imagery to turn complex concepts into simple images. Sounds simple… *slaps forehead, pulls at face – wishes it was that simple*. ‘a poor player That struts and frets his hour upon the stage And then is heard no more.’ A poor actor who struts and worries for his hour on the stage and then is never heard from again. Such a sad image; an actor who works slaves for lifetime, practicing through the blood sweat and tears to finally get a break and then, only gets 15 minutes of fame. Forgotten forever, like the army of hopeful thespians who came before him, and the budding recruits yet to come. Sad, yet cuttingly true – not everyone can be famous. Life is a story told by an idiot, full of noise and emotional disturbance but devoid of meaning. Not sure how comfortable I am with the sweeping generalization we’re all idiots! But I get his point. We do get caught up in the mundane, or caught up in the shallow intricacies of fads and social hierarchy, and that ultimately is meaningless. Does he really mean that life is meaningless? I hope not, I like to think he is making a point that Macbeth’s life was pointless – he spent it doing despicable acts, and if you do the same, then at the end, life becomes meaningless. Macbeth lived the life of a shadow, an illusion of life. Isn’t that a wonderful image? Ok, I read into a lot, and the average reader skims through words at a thousand knots trying to get to the end of the chapter, see what happens next. But if I can convey even a slither of that imagery I would be a happy lady. Tell me in the comments below: do you know what your weakness is? If so, what is it? And what authors do you (or will you) try and learn from? Mmm. My weaknesses. Let’s start with plot, then move on to characterisation, dialogue, scene-setting… How long have you got? Oh I enjoyed this article – thank you for sharing! School has a lot to answer for re Shakespeare – it is put across as SO boring! ALL introduction to the plays should be via a play, not immediately into dissecting it… I only appreciated what As You Like It was all about several years after leaving school when I finally saw it performed. Kenneth Brannagh’s hilarious Much Ado About Nothing, his very moving Henry V – all meaningless if just read because they have to be read. Thank you for giving me the kick up the pants that I need to get reading _good_ books again! It is a lovely sunny day here in Devon – I think I will get a bit of work done this morning then have my lunch on the patio with a good book as a companion! I agree wholeheartedly. Schools sadly don’t have the scope to be able to think outside the box when it comes to teaching – too constrained by government and the drive for exam results. What genre do you normally read? Have you heard of the website http://www.whatshouldireadnext.com ? you type in a book or author you liked previously and it gives you suggestions for new ones. might give you something useful and inspiring? It’s funny isn’t it – when we start to write our own stuff we veer off and read other things – but actually (although I used to think that was right) I think i was wrong – thats exactly when I should be reading the genre I love. No, never got Shakespeare either Sacha, but may be down to the fact of not understanding a lot of his words which make having dyslexia a real problem for me. If I find what I am reading too tough to take in, then I give up far too easily, so maybe that is my weakness. From the writing point of view if I am scared of anything then I won’t give it a chance. I’m talking here about writing poetry. I’ve written a few but it was very, very hard work for me. I tend to stick to what I like to write the most. I’ve heard it said so many times “Write about what you know and what interests you”. That seems to work. haha, sounds like were in the same boat. I’m not even sure I realise I am doing it half the time! sigh. I guess thats what redrafts are for. Every time I edit a new draft, one note I always make is to add more description and details. A have a few weaknesses. Description is one. The tendency to fall back on the same tired phrases and words is another. I usually tackle these weaknesses during rewrites, plumping up scenes and adding description. I also do a search for the words and phrases I tend to overuse and replace them with different words. ooooh yeah, good one Tricia – I call those pesky words my crutch words you ever heard of wordle? I use that as a tool to check for word repeats. I’ll tell you the problem I’m having with my novel (that I’ve abandoned for the moment, but fear not I will return). I have a problem with tension and transitions. I’m reading a lot and writing shorter stuff to figure those two things out as much as I can before I dive back into draft two. Ooh interesting. What do you mean by transitions? What kind of stuff are you reading for the tensions work? By transitions, I mean from one scene to the next, without confusing the reader, providing too many necessary details, etc. For both, I am just reading stuff and paying attention to those things in whatever I read. Do you have any recommendations for me? I read a lot of literary fiction and there are some stories where there is barely any tension. I don’t think I could get away with that as a first timer. I admit that I am bad at analyzing things I read for elements I need for my own writing. I read stuff and I trust my subconscious notes it all down and then I trust it’ll know what to do when I sit down to write. I write a lot by going on intuition. I know I write well when I enter this space/zone when I’m writing. I hope all that makes sense because I am too tired to even reread it. Hope you’re having a good week. It does make sense I write in a similar zone – I also don’t naturally analyse things in books I read, although because I primarily read on a kindle /iPad I have started to train myself to. I highlight sentences or paragraphs I like as I go with seemingly no real purpose behind my choices but when I go back to them it’s usually because it’s something I don’t do well or a technique I like. As for examples, hmmmmmm. What about trying a thriller? They are usually fast paced. Or a YA novel – they too are fast paced. I guess some of the things I’ve read recently about chapter endings is to leave them open – try not answer a question at the end of a chapter and if u have a cliff hanger or open ended chapter then don’t answer that particular question in the very next chapter answer it a few chapters later because it keeps the reader turning the page. I’ll try and find the article I read that in I have a feeling it was KM Weiland – do you know her? Thanks. I’ll try to read a thriller. That might be going in the other extreme, but I think you might be right. Figuring out the boundaries is a good way to find the middle. Yes, I know KM Weiland. She gives really good writing advice. I’ve been reading her for a few years now. I havent read Shakespeare since school. I always loved the drama of his stories and found plain English ‘translations’ of them all, because I didnt have the patience or the interest in wading through all that flowery old language. Perhaps I would feel differently now, but my reading list is so long with books I WANT to read, I dont have time for the books I think I should read. yeh it’s odd I really couldn’t be doing with that flowery language back then either. But I definitely do feel different now. This is the problem with being a writer – out goddamn reading list is as long as Everest is high.